Recognised as the first Thai female director to be noticed internationally, Pimpaka Towira is a pioneer on the Thai independent film scene since the early ’90s. She studied film at Thammasat University where she was part of an experimental theatre group. 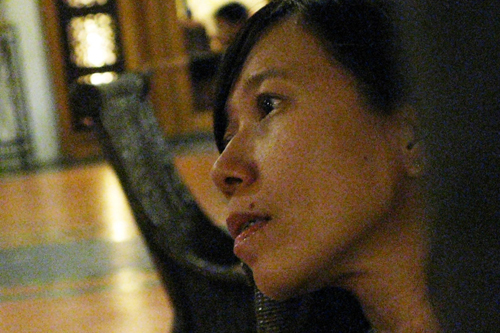 Since 1988 she has made a number of experimental short films, mostly depicting women’s issues, including, MAE NAK, a deconstruction of the popular Thai ghost story “Mae Nak Phra Kanong”. Produced in 1997, MAE NAK, went on to win a Special Jury Prize at the Image Forum Festival in 1998. Her debut feature, ONE NIGHT HUSBAND, an ambitious attempt to combine an experimental style with an accessible narrative was premiered in the International Forum of New Cinema at the 2003 Berlin International Film Festival. Since then, it had been shown in many international film festivals around the globe. Apart from film-making, she has also worked as a film writer, film curator, film activist and film lecturer. Additionally, she is an active volunteer for the Thai Film Foundation, as well as the programme director for the 4th Bangkok Film Festival in 2001, organized by The Nation. Moreover, she was also invited as a jury member for many film festivals including Oberhausen International Short Film Festival in 2001 and Yamagata Documentary Film Festival in 2005.